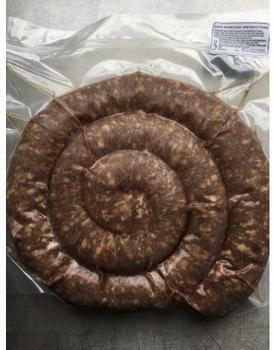 Carnivore Meat Company of Franklin, Tenn., is recalling approximately 379 pounds of raw ground beef and pork sausage boerewors. The recalled products, bearing establishment number “EST. 45742” inside the USDA mark of inspection, were shipped to retail locations in Florida and Georgia. Consumers with questions about the recall may contact Carnivore Meat Company at (615) 614-3134, or by email at info@carnivoremeatco.com.